For people with physical, mental, or emotional disabilities, health issues are just the beginning of life’s challenges. If you have a disability or special needs, you likely have concerns about earning and supplementing an income, living in a safe and accessible living environment, obtaining the extra help needed, qualifying for health insurance, and increasing personal independence. If you have a loved one, such as a child with special needs (minor or adult), you likely have the same concerns for them, and want to know how you can be their best advocate and provide for them now and when you are no longer able to provide care. In addition, if your special needs child will soon reach 18 years of age, you should have a plan in place before this milestone birthday, as many things will change, such as eligibility for certain public benefits and determining who has the authority to make his or her medical and education decisions. We can help you navigate these complex issues, and put the best plan in place. People who receive SSI, AHCCCS or ALTCS (Medicaid) and other state benefits have limitations in the amount of assets they can own. Special Needs Trusts are an exception to the rules that normally apply to Trusts. Normally a Trust is considered an available asset whenever someone applies for means-based public assistance programs such as SSI or Medicaid. However, a properly drafted and administered Special Needs Trust will not be counted as an available asset, and Trust disbursements will generally not be counted as income under the rules that apply to SSI and Medicaid. To use a first party Special Needs Trust (a.k.a. d4A Special Needs Trust, “SNT”) the disabled individual must be under age 65. This type of SNT can help the disabled individual protect his or her own assets or newfound wealth (e.g., lawsuit settlement or inheritance) and still qualify for and receive SSI, AHCCCS or ALTCS benefits. The SNT provides for the maintenance of an individual with a disability by complementing rather than replacing government benefits. There are strict rules regarding the establishment, funding, and administration of first party SNTs. This type of SNT is also sometimes referred to as a “pay-back Special Needs Trust” for the reason that at the beneficiary’s death, the Trust must pay back to Medicaid the cost of care rendered to the disabled beneficiary during his or her lifetime. A disabled individual may also use a pooled Special Needs Trust (a.k.a. d4c Pooled Special Needs Trust) to achieve the same goals, and we have experience in guiding clients through the process of determining which is best in light of their individual situation. The aim is to have the best of both worlds – public benefits and services supplemented by the SNT assets to foster the best quality of life possible. By contrast, a third party Special Needs Trust (a.k.a. Supplemental Care Trust) will hold the assets of another individual, and not the person with the disability or special needs. If you have a family member with a disability or special needs, have you ever wondered who will take care of and provide for your special needs loved one when you cannot? Are you concerned about how to pass an inheritance on to your special needs loved one without effecting their means-based public benefits, or if they are unable to handle financial matters themselves? For many parents with special needs children, whether a minor or adult, these questions linger. If no action is taken, it is likely the child will inherit monies outright, which is actually a gift to the government because it might eliminate that child’s eligibility for means-based public benefits and may, in fact, not really help improve the quality of that child’s life. Alternatively, some parents will disinherit that child altogether and hope to rely on the charity of other family members, which can cause great conflict and provides no guarantee for the well-being of the child. The best alternative is to establish a third-party Supplemental Care Trust (a.k.a. third party Special Needs Trust) as a part of your estate plan. Properly drafted and administered, a Supplemental Care Trust is an excellent way for families and individuals to plan ahead. It ensures public benefits will continue for the lifetime of a person with a disability, but creates a legal option for purchasing supplemental supports and comforts. In addition, there is no pay-back requirement to Medicaid upon the death of the beneficiary. There are many factors to consider, such as if the Trust is established now or only upon your death, what assets will be funded to the Trust, who shall serve as Trustee, is a Trust Protector advisable, and for what purposes do you want to allow the Trust assets to be used? Using a Supplemental Care Trust (a.k.a. third party Special Needs Trust) provides your family with financial peace of mind. You’ll know your loved one with a disability has a long-term, high-quality care plan in place – a plan that does not infringe on public benefit programs. As part of your estate plan, you may also wish to designate a legal Guardian for your incapacitated adult unmarried child or surviving spouse in your Last Will and Testament. Estate Planning is always important. However, when one of your loved ones has a disability or special needs, proper planning with an experienced special needs attorney becomes even more critical. What do you need to know before your special needs child turns 18 years old? Prior to age 18, eligibility for Medicaid (AHCCCS) and Supplemental Security Income (SSI) is determined by the parents’ income. After that, it’s based on the child’s assets and income, even if the child continues to live at home with parents. 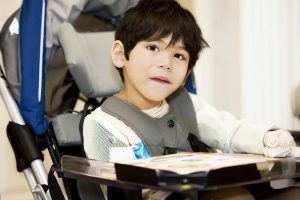 To be eligible for SSI, your child must be determined to be disabled by the Social Security Administration (SSA) definition of a disabled adult. If he or she qualifies for SSI, he or she will qualify for AHCCCS. Even without SSI, he or she may qualify for AHCCCS based on his or her income. If the child already receives SSDI payments, your child will continue to receive SSDI after age 18. At 18, your child by law, will be able to make his or her own medical and education decisions. Will he or she be able to do so? If not, you may want to consider establishing a Guardianship and/or Conservatorship. Doing so enables the Guardian to make the child’s personal, medical, and educational decisions. A Conservator would be authorized to handle the child’s financial matters. Different types of Guardianship are available (full or limited) depending on the level and type of assistance your child will need. If Guardianship or Conservatorship is not required, you should consider alternatives such as medical directives and Financial Power of Attorney. For more detailed information on Special Needs Trusts and planning matters, please go to Publications/Forms.